Let me begin my epic adventures on Carnival Paradise by saying that the cruise was a blast! 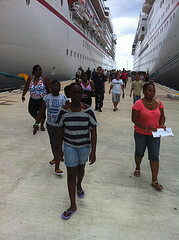 My favorite part of the cruise was going to Grand Cayman. As for the ship, my favorite part was the Lido Deck which was Deck 10. There was a pool, two hot tubs, and a water slide. Then there was the buffet for breakfast, lunch and dinner. For breakfast, they make omelets at three different stations and offer many other regular breakfast items. At lunch, they had a grill area where you can get hot dogs and burgers. Also, there was Mongolian Wok. At the regular buffet, they had something different at lunch everyday. I remember they had Mexican, Caribbean, American and Italian. For dinner, some people prefer the various selections in the buffet, but many other cruise passengers just went to the formal restaurants, the Elation or Destiny Dining Room. Carnival Paradise's main entertainment area is the Normandie Theater where you play bingo and watch shows. Up on deck 14, you will find a sports park with a mini-golf course and a jogging track. Now, let me talk about Grand Cayman, where they have beautiful beaches. On my last Carnival cruise, my family and I went to the famous Seven Mile Beach which really isn't seven miles. If I remember correctly, it's actually 5.4 miles. On our Carnival Paradise cruise, we went to Rum Point Beach. The water at the beach was crystal clear. 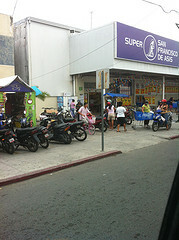 There is restaurant, tables and umbrellas and several water equipment for rent. At Carnival Paradise's stop in Cozumel, Mexico we toured the island and then went to one of the beaches. I can't remember the name, I think Ocean Beach, but it was a nice place. The water was kind of dirty, but luckily there was a pool, a hot tub and also an outside restaurant. My family enjoyed a good Mexican meal! Well, that's all I have to share about my epic Carnival Paradise cruise adventures. 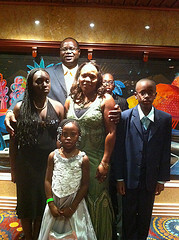 If you go on this cruise or any Carnival cruise, I hope you will enjoy it as much as I did. And, if you get a chance, you may write about it on this website. Join in and write your own page! It's easy to do. How? Simply click here to return to Carnival Cruises.